Cirque of the Towers is a mountain formation in Wyoming. No, I have never been there. As a painter and mother I don't get out to much. But thanks to the Internet I can paint beautiful sites like this from the comfort of my own home. 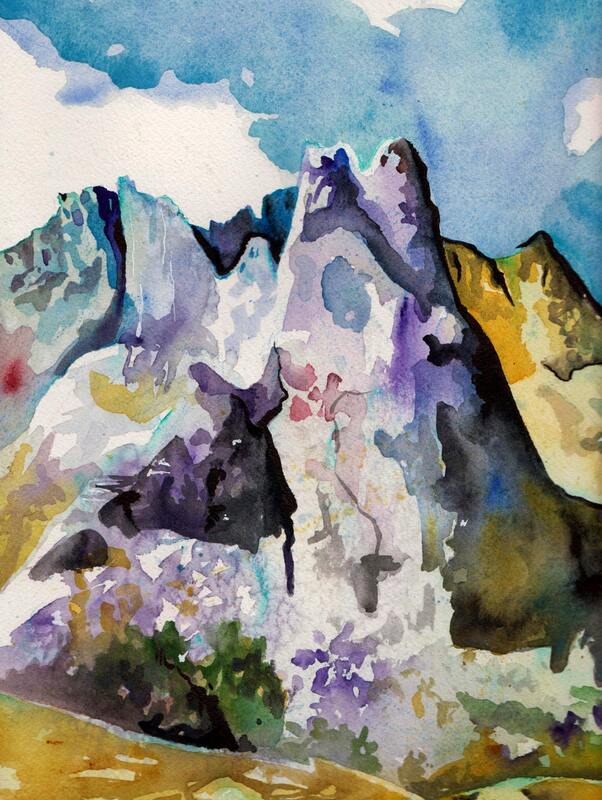 This watercolor and ink landscape was made as part of a series of paintings on rock climbing. 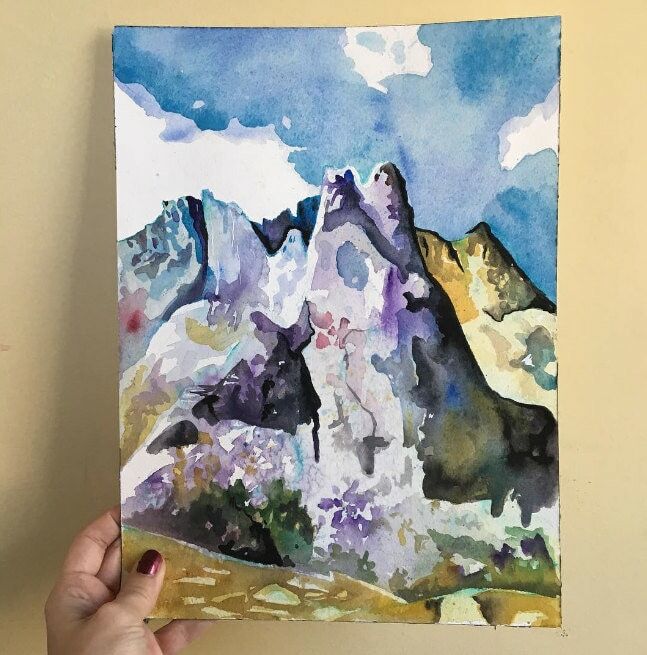 This listing is for the original watercolor painting titled "Some Rocks" seen above. It is watercolor and ink on paper and measures 9 inches by 12 inches (23 cm x 31 cm).